Apple Pay has added 38 new banks and credit unions in the United States and one new financial institution in China. According to 9to5Mac, Apple Pay now works with Changzhi Bank in Mainland China. In the U.S., it is available for customers at First Calgary Financial, Essex Bank, Green Dot Bank, Home Federal Bank, Kentucky Bank, Los Alamos National Bank, Poppy Bank and Prospera Credit Union, just to name a few. The mobile payments service continues to add new banks and credit unions every month — and there are reports it will soon be available in Germany and possibly Austria. Earlier this year, Apple CEO Tim Cook said Apple Pay exhibited good growth during the first three months of the year, with active users more than doubling year over year. Additionally, the CEO said total transactions tripled on a year-over-year basis. “We believe the availability of Apple Pay at major transit systems has been a key driver of adoption among commuters, and in March, we launched Express Transit with Apple Pay in Beijing and Shanghai — the second- and third-largest transit systems in the world,” Cook said at the time. In 2018, the service has popped up for iPhone users in Brazil, Ireland and Spain. And last month it was revealed that as of this fall, Apple Pay will be one of the first few options on eBay‘s new payment platform, making it possible for customers to either use Apple Pay in eBay’s mobile app, or for web purchases (provided they are using Safari, as Apple Pay doesn’t work with Chrome or other browsers). 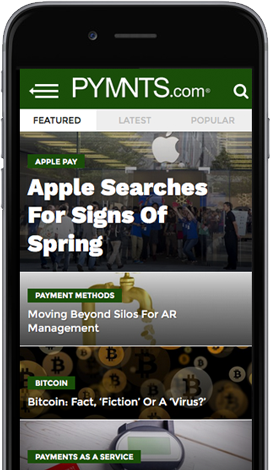 “Apple Pay is one of the most ubiquitous forms of payments and provides users with an easy, fast and secure way to pay. Offering Apple Pay as a form of payment on eBay is the first step in providing more choice and flexibility in payment options to our tens of millions of buyers,” said Steve Fisher, eBay’s SVP of payments, in a statement.